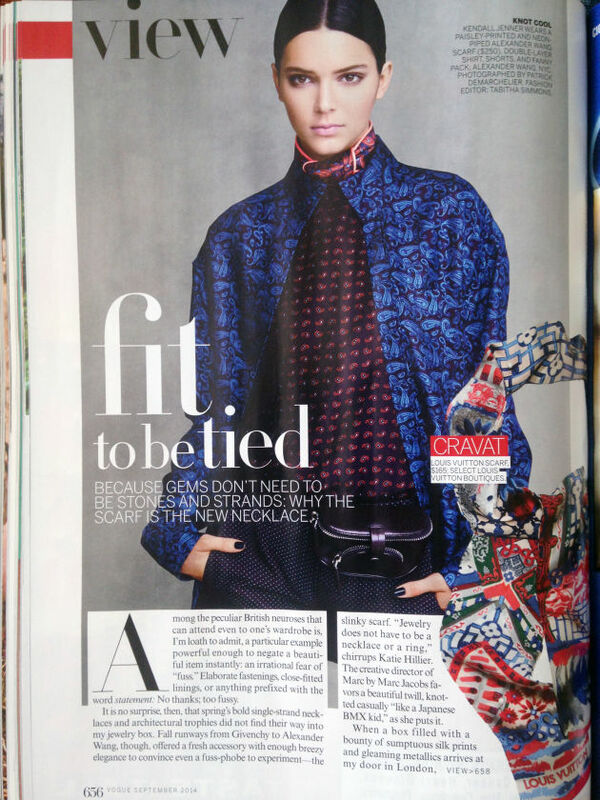 Kendall Jenner appears in a front of-book editorial about how to style a scarf, Jenner opens the spread wearing all Alexander Wang, It's been a good year for this model congrats! Styled by Tabitha Simmons and photographed by Patrick Demarchelier. She's beautiful, she definitely deserves this!